I love pesto! I made my mom buy a jar of pesto at Costco a few weeks ago, promising her that if she did, I would make dinner. 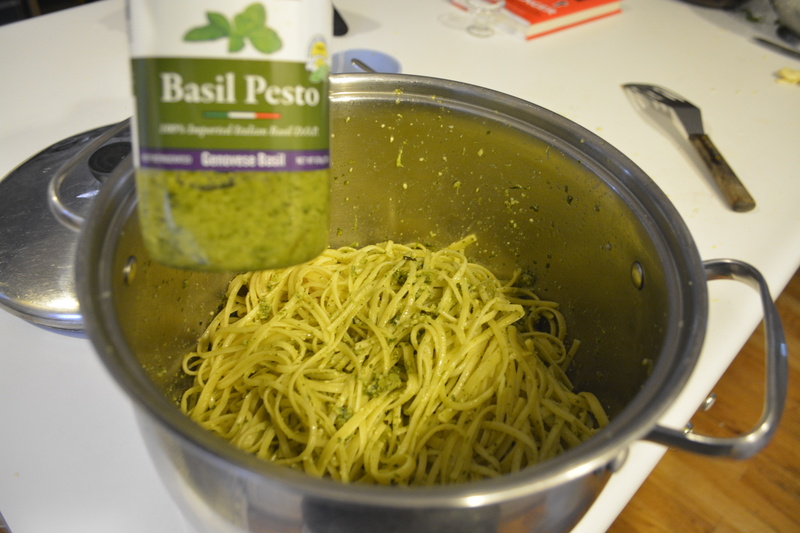 I have since gone pesto crazy, trying all sorts of recipes with pesto. This recipe has so many good ingredients. 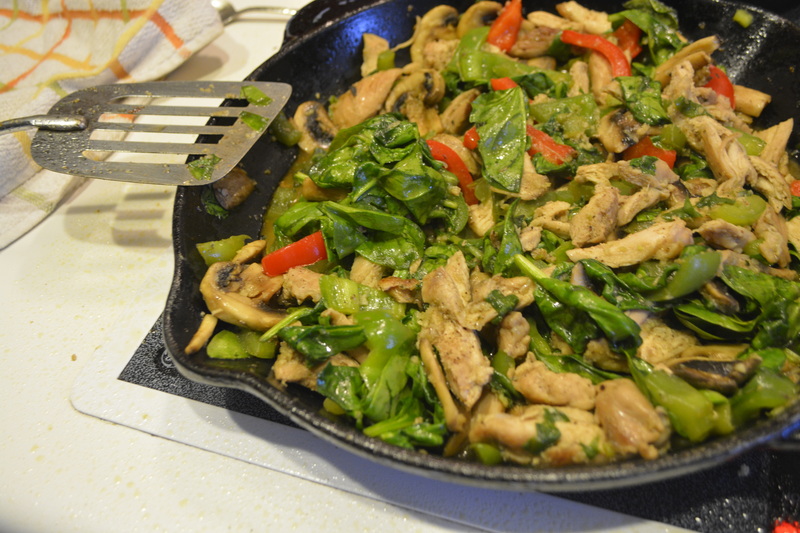 I love spinach, mushrooms, garlic, and pesto, and well…to have it all in one dish is even better! My mom and I made this together. Like bacon? Then this recipe for you. After finding this recipe I went through a bacon fat phase, and found out that it goes well with more things than one might have guessed, especially if you love that bacon taste. 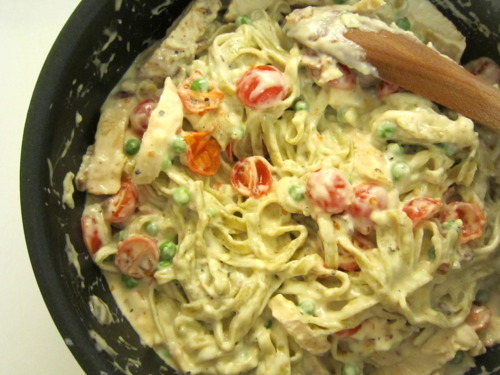 This is definitely a recipe I would like to try again.